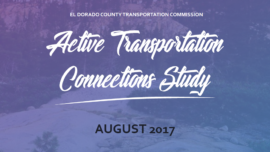 Automobile travel is the predominant mode of transportation in the San Bernardino Valley and non-motorized travelers are at a relative disadvantage as parking, roadway infrastructure, and travel demand systems have been oriented towards the automobile. 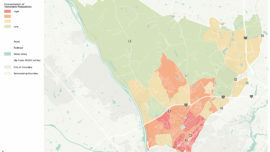 Land uses have also been oriented towards automobile travel, which further exacerbates the challenges facing non-motorized transportation in the area. 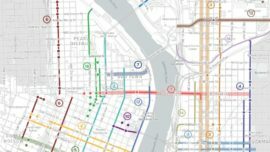 The Improving Access to Transit for Cyclists and Pedestrians project builds upon recent efforts in the region to improve alternative transportation options and make public transportation more competitive with the private automobile. Improving non-motorized access to the selected transit stations will not only result in a modal shift towards pedestrian and bicycle activity, but it is also expected to reduce the need for costly automobile related access improvements at these transit stations. 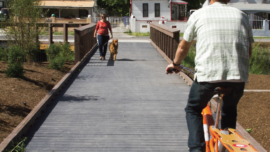 Challenges include numerous freeway over and underpasses, at-grade railway crossings, several multi-lane high-speed arterials (including the original Route 66), and non-ADA compliant pedestrian environments.